When devastating news shatters the life of six-year-old Harvey, she finds herself in the care of a veteran social worker, Wanda, and alone in the world save for one relative she has never met—a disabled felon, haunted by a violent act he can’t escape. Moving between past and present, Father’s Day weaves together the story of Harvey’s childhood on Long Island and her life as a young woman in Paris. Written in raw, spare prose that personifies the characters, this remarkable novel is the journey of two people searching for a future in the ruin of their past. Everything Beautiful Began After is one of my favorite books. Its a beautifully written story that made my heart hurt, my head spin, and haunted me for months after. I loved it to bits! Van Booy's writing was ACE and I couldn't get enough of it. So, when I heard about his new novel, Father's Day, I immediately asked to review it. I was so excited to read it. A new book by one of my favorite writers - what more could I want? I just knew I was in for a treat. Father's Day is the story of Harvey and Jason, a father/daughter duo, reuniting in Paris to celebrate Father's Day. Harvey lives in Paris now and wants her dad to see where she lives, where she works, and how well she is doing. She also wants to share with him a secret she uncovered - something she is convinced he knew, but never told her. Jason just wants to spend time with his daughter in this new world she's created for herself. Their story unfolds slowly, and the narratives time jump from past to present helping to explain their relationship further - it all makes for quite an affecting read. I loved getting to know Harvey as a kid and Jason as her uncle who takes on the role of "dad" when she loses both her parents in a car crash. These two lost souls find comfort in each other and their new relationship. Jason makes sacrifices the way any good father would for his daughter's medical (in this case dental) care. Harvey provides the teen-aged angst that tests any father's patience. Its fascinating, relatable, and mesmerizing to read. The more details that emerge about this family, the more you can't help but figure out the secret that Harvey is waiting to ask her father about. I have to admit that I suspected what the secret was long before Harvey mentioned it, because from the beginning there is just something in the writing that spells out the truth ( or at least I saw it ). Either way, I have to admit that this predictable secret/reveal was the only aspect of the novel that disappointed me ( but only slightly ). In the end, I still managed to tear up reading the truth of Harvey, Jason, and their relationship. Van Booy's words swept me away into these characters' lives, their past, their present, and the people around them. His penchant for creating a rich, vivid, and emotional story with such simple and sparse story lines is truly breathtaking. I loved this beautiful book to bits. 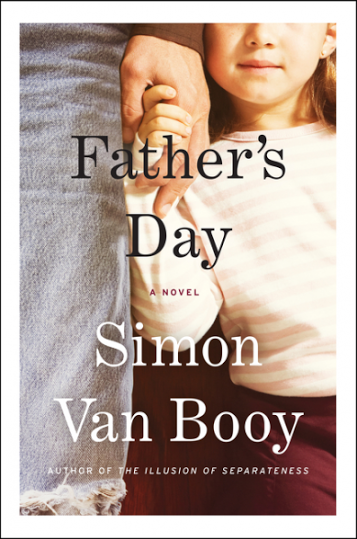 I would happily recommend Father's Day to fans of Simon Van Booy's writing and fans of great reads - you will LOVE this book! Thank you to the publisher and TLC Book Tours for providing me with a copy of this book! Good to know! This one didn't grab me by the hair as his books usually do because the writing style is fairly stripped down in comparison to his other books, but this review heartens me! I've heard amazing things about this author for quite a while but haven't read any of his books yet - looks like I'm really missing out! 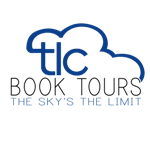 I'm kinda new to the TLC tours - I've only done a couple reviews - but I see we're both reviewing another upcoming book so I'm popping in to say hi. Sounds like I should check out this book too. I like your review. I love Simon Van Booy's writing, although I've only read one of his books. My father isn't a reader, so I won't give this to him for Father's Day, but, I just might have to buy it for myself! 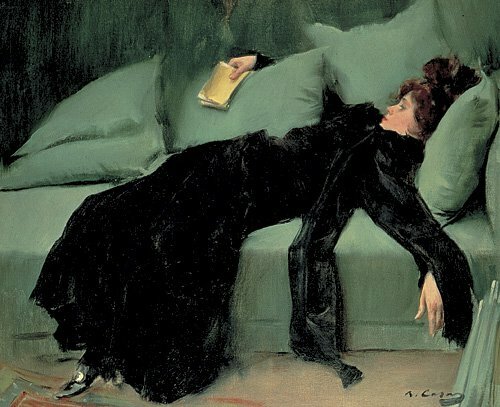 So glad you had a review copy, and that you loved it so much. Win, win! This author is new to me and the book review makes this book sound like I will like it.